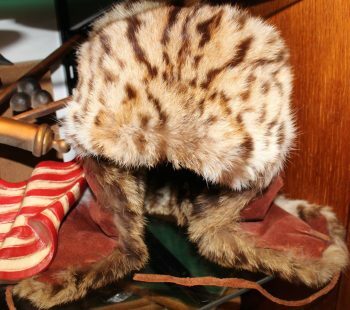 This vintage hunting hat is made of bobcat fur. Fully lined with fur ear flaps that can be tied on top of the hat. Amazing condition.